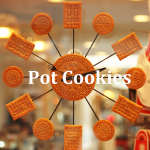 Slow Cookers or Crock Pots are a great way to make some your cannabutter when your are already doing other things at home or even at worl. 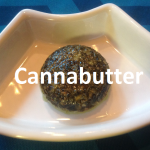 It is one of the best ways to multi-task and still get your medication ready when you need it, that is proberbly one of the reasons why it is a very common way of making cannabutter at home. 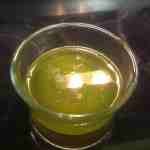 Below is a long cook cannabutter slow cooker recipe that one of our contributors has made and supplied. If you have any recipes that you want to contribute please see the contributors page here. Cooking time for this recipe is 8 to 12 hours. At Budzu we don’t recommend doing any cooking when you or your family are sleeping, please remember safety first at all times. 1 Ounce of pot. This can be the stems and leaf as well as any flower that you are going to use. 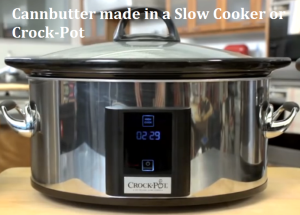 Combine all ingredients into your crock pot and leave for a min of 8 hours and up to 12 hours on a medium temperature or up to 12 hours if it is a lower temperature slow cooker. When its completed cooking, strain through a metal coffee filter into a measuring cup. The paper coffee filters are not recommended due to the straining involved and that the paper tears easily so its just better to have it all done in metal. With a plastic spatula scrap all sides of the crock pot and the metal strainer to get as much of the butter through as possible. Place the measuring cup with the mix of butter and some water into the freezer for 25mins or until the water and butter separate and the butter sinks to the bottom and the water is to be still in a liquid form on the top. Pour out the water that is sitting on the top. TIP: Don’t throw away your leaf and other materials after it is strained, you can use it as garden fertilizer either on top of the garden bed or dig it into the garden waste compost material. It will have a butter film to it but it is still very useful.